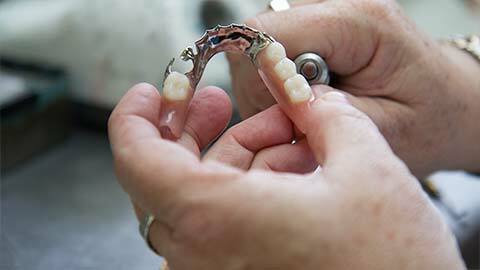 Dentures are a trusted way to replace missing teeth and increase your comfort while speaking and eating. Advances in denture technology allow these artificial teeth to look, feel, and function like natural teeth -- allowing you to speak and enjoy most foods comfortably. If you have extensive tooth loss, you may want to speak to Dr. Rocca about a full set of dentures. If you are missing one or a few of your teeth, a partial denture may be a good solution for you. 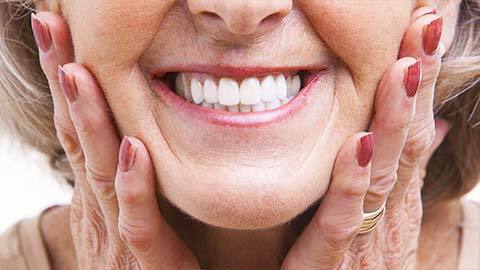 Dentures can be attached using dental implants to allow for a more comfortable, secure feel and function. To discuss dentures with Dr. Rocca, please contact Dentistry at The Point today.